"You can double or half the recipe without any problem. This is a simple recipe and very tasty! It will be very flaky." In a large bowl, combine flour and salt. Cut in shortening until mixture resembles coarse crumbs. Stir in water until mixture forms a ball. Divide dough in half, and shape into balls. Wrap in plastic, and refrigerate for 4 hours or overnight. Roll out dough on a floured counter. Don't over work it. Use as directed in pie recipe. If necessary, use a little less water than called for in recipe. 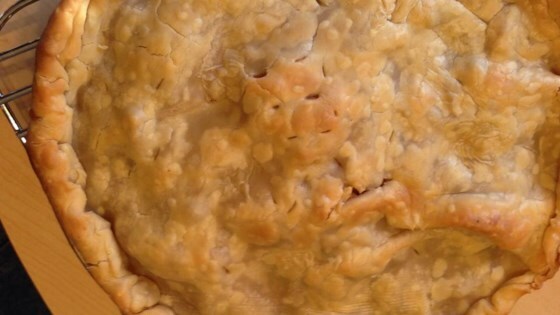 Very good pie crust. I didn't have the 4 hours to let the dough chill, so I added an egg and made the the water ice water and it was great!